Leaving their native land was difficult for many emigrants, even when they faced their new life with hope and excitement. The most common mementos they brought with them were pictures of family and friends. 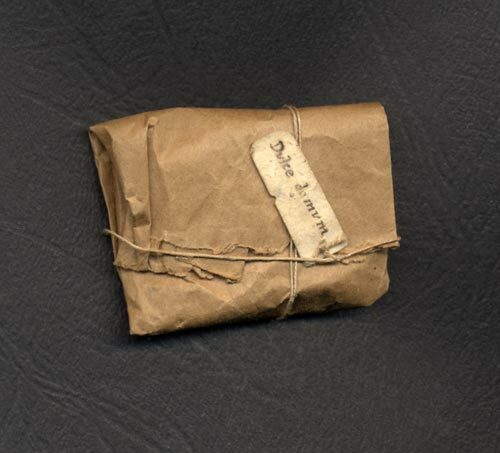 This small packet of English soil was brought to New Zealand in 1877 by Arthur Swarbrick and his younger brother, Harry. It carries the Latin inscription ‘dulce domum’ (sweet home).